Two recalls of water heaters were announced in November, 2018, by the Consumer Product Safety Commission. One of the recalls involves several brands of residential 30, 40, and 50-gallon water heaters. All water heaters in this recall are either natural or propane gas-fired Ultra-Low NOx models. 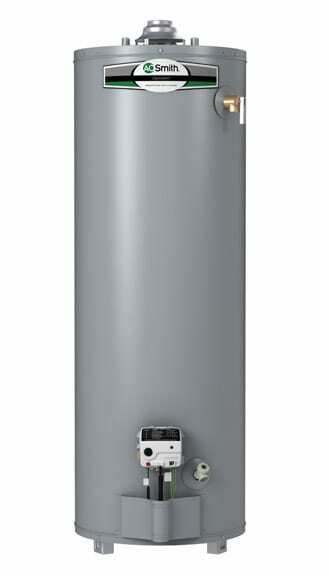 The other recall is for 30-gallon gas water heaters with the model number G6-UT3030N. 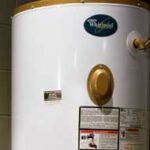 Brands being recalled include American Water Heater, A.O. Smith, Kenmore, Lochinvar, State, Reliance, U.S. Craftmaster, Whirlpool. Most of the affected water heaters were sold and installed in California between April, 2011 and December, 2016 to meet strict emission standards. According to the CPSC’s release, the Ultra-Low NOx water heater’s burner screen may develop tears. 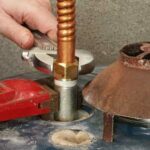 If this happens, the water heater’s burner can develop excess radiant heat. If the water heater stands directly on a wood floor (or similar combustible material), this poses a fire hazard. A.O. Smith has received 6 reports of fires occurring from this issue. No injuries have been reported to date. This recall was announced because this particular water heater’s flame arrestor can fail to work properly, posing a fire hazard. UT3030NV and serial numbers with the first four digits of 1805 through 1809. Check your water heater for model name and serial number. The data plate where these are listed is next to the gas control valve/thermostat. 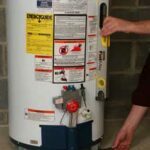 Go to https://www.waterheaterrecall.com/ and input your water heater’s model and serial numbers and complete the form to see if your water heater is being recalled. Regarding the Ultra-Low NOx recall, only water heaters with the first four digit serial numbers between 1115 and 1631, where the first four digits represent the year and week of production, are included in the recall. If your water heater has been recalled, turn it off and stop using it. Contact the following to determine if a free repair is necessary. If you own a Whirlpool, U.S. Craftmaster or American Water Heater brand water heater, you may call toll-free 866-854-2793 for more information. Reliance, State, A. O. Smith, and Kenmore owners can call toll-free 866-880-4661.